His Royal Highness Crown Prince Alexander officially opened “Royal Furniture” exhibition at the Royal Palace in Dedinje. 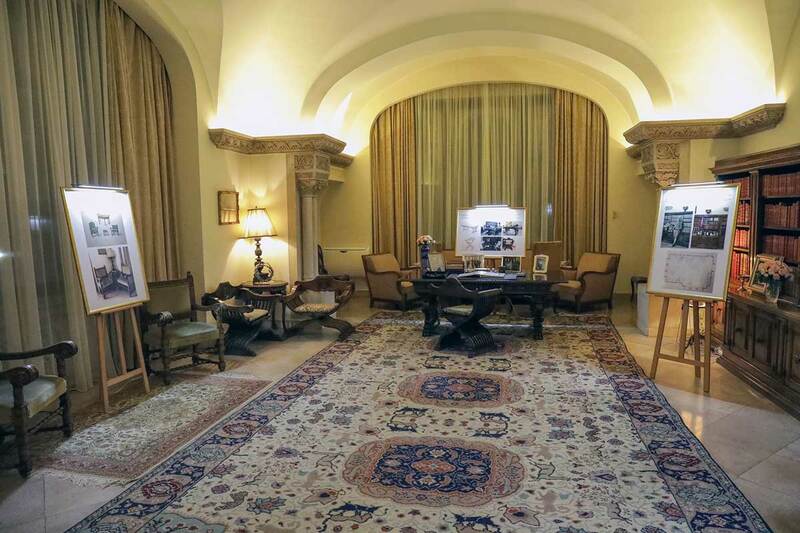 The exhibition displays parts of the furniture that was purchased by HM King Alexander I and King Peter II for the Royal Palace between 1929 and 1941. 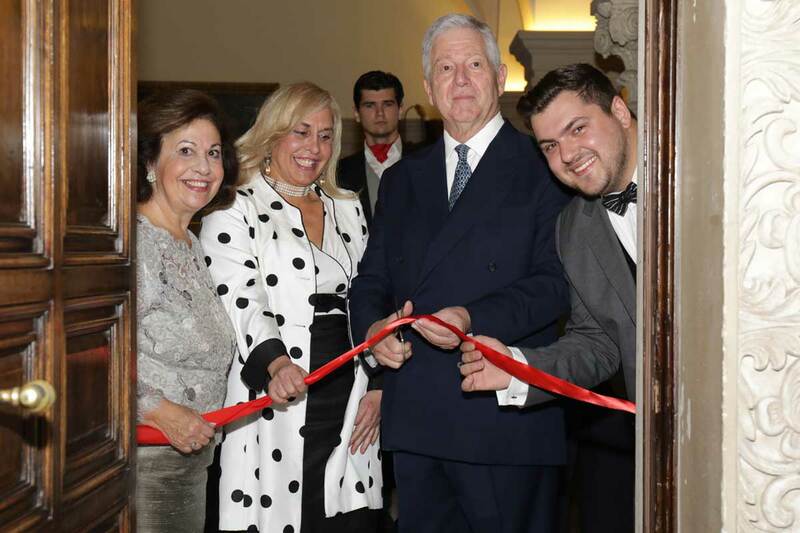 “I am very happy that we organized this exhibition in the year when we mark the 130th anniversary of birth of my grandfather, HM King Alexander I of Yugoslavia, a great statesman, a man who loved his country and his people. In 1929, the King finished the construction of this remarkable palace, financed by his private funds. 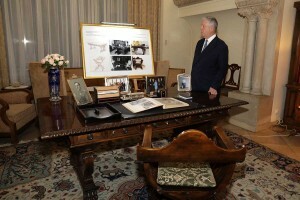 The same year he moved into it with his wife Queen Maria and their three sons, then Crown Prince Peter, later King Peter II of Yugoslavia, Prince Tomislav and Prince Andrej. The King gradually turned it into the Royal Palace, although his original intention was to have a strictly private house outside the city. My grandfather, HM King Alexander I of Yugoslavia studied design and was interested in contributing to the design of many buildings around Belgrade. 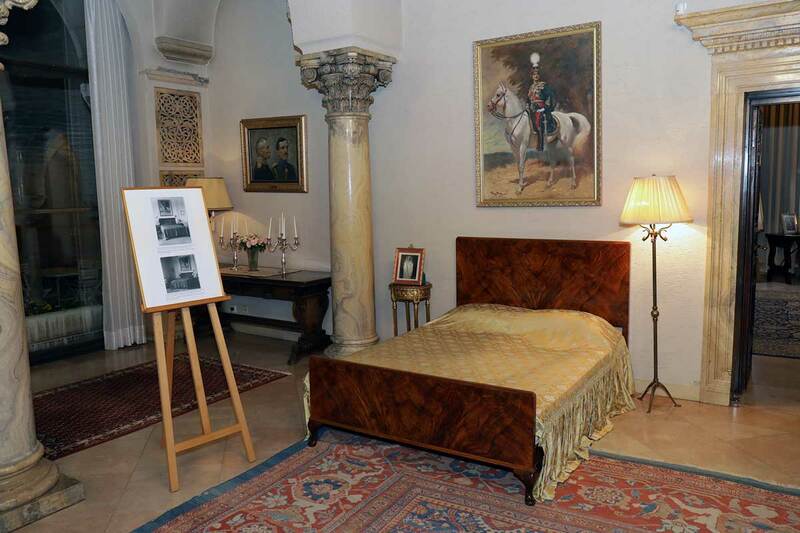 This valuable exhibition of the royal furniture enriches our memory and strengthens our awareness. At the same time, it is sentimental, because it is personal, and noble because it reminds us that we are only part of an unbroken line that has initiated, developed and preserved European civilization through centuries, a part of the line that consists both of our ancestors and our descendants”, said Crown Prince Alexander in his speech. Visitors will see chairs and armchairs used by members of the Royal Family in the library, then the study of King Alexander I and King Peter II, bed of King Alexander I and King Peter II, a small table and chairs used by King Peter and Queen Maria in the Golden Salon of the Royal Palace, a night table of Queen Maria, historical photos and much more. 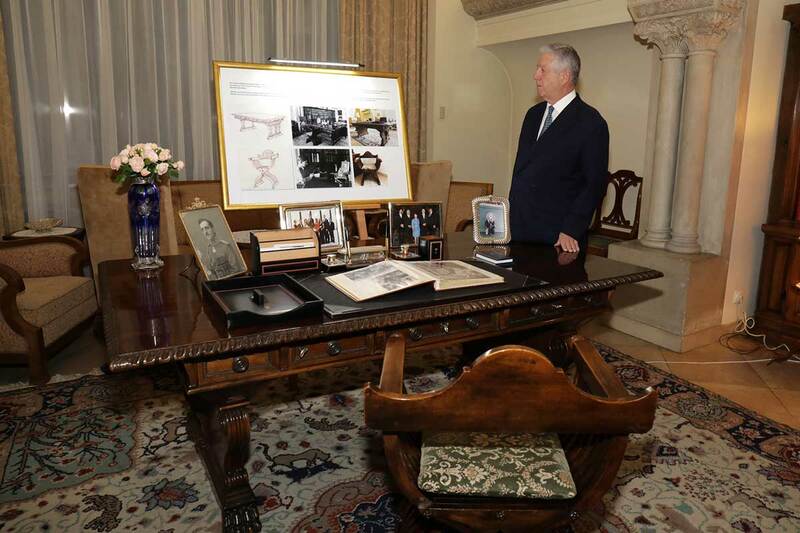 The interesting part of the exhibition includes the King’s bills and payment receipts for furniture purchase from local and foreign companies, as well as the sketches and furniture drawings for the Royal Palace by Bernhard Ludwig and Russian architect Nikolai Krasnov. 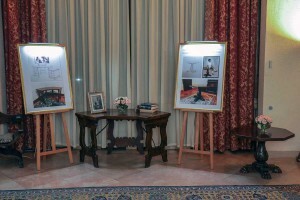 The authors of the exhibition are Mr. Andrija Sosic and Mrs. Aleksandra Ljubic. 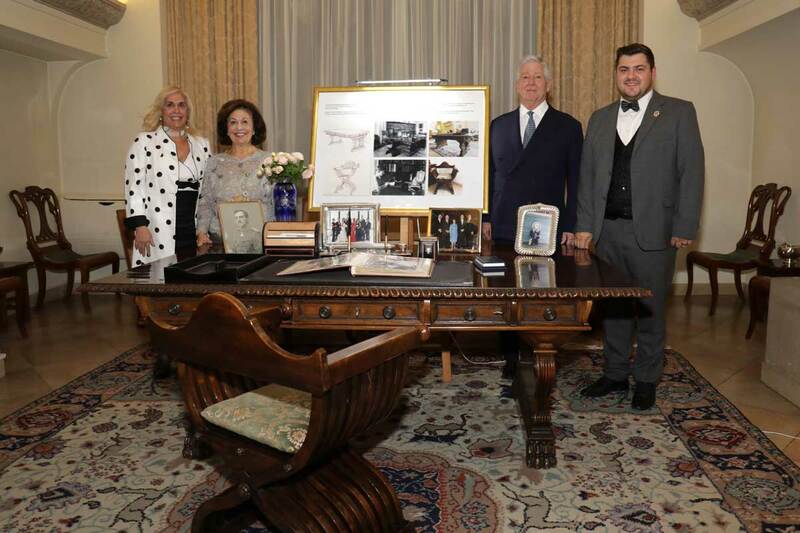 The opening of the exhibition was attended by HRH Crown Princess Katherine, the daughter of Their Royal Highnesses Alison, the author of the exhibition Mr. Andrija Sosic, Princess Danica’s parents Mr. Milan Cile Marinkovic and Mrs. Beba Marinkovic, members of the advisory bodies of the Crown, representatives of the diplomatic corps, as well as by many guests from the cultural and artistic world of Serbia. world-renowned manufacturers such as Bernhard Ludwig from Vienna, Maple & Co. from London and Paris and from many others. All the attendees had the opportunity to freshen up with “Bean and Leaf“ coffee. The exhibition “Royal Furniture” at the Royal Palace will be open for visitors on working days until November 21, from 11:00 am to 2:00 pm, with prior announcement to the Office of HRH Crown Prince Alexander at 011/306-4000 or via e-mail kancelarija@dvor.rs.